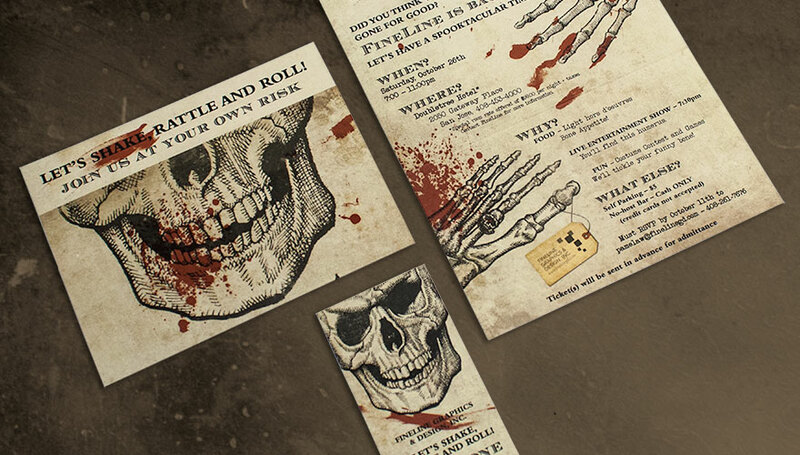 Halloween Invitation | FineLine Graphics & Design, Inc.
Halloween has been a fun holiday that FineLine celebrates with great enthusiasm each year. 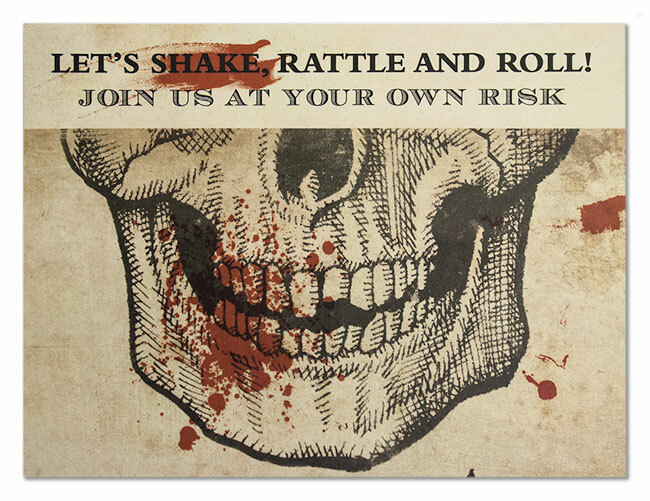 Internally we decorate the office, have a potluck, and compete with pumpkin carving and costume contests. 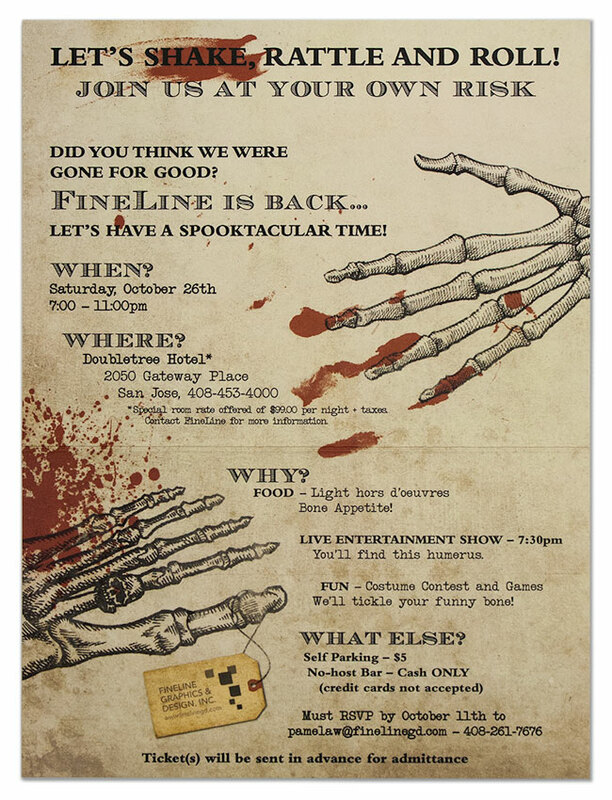 Every now and then we go all out and have a huge Halloween party as a “Thank You” to our clients and vendors. We have lots of fun creating our unique, themed invitations. 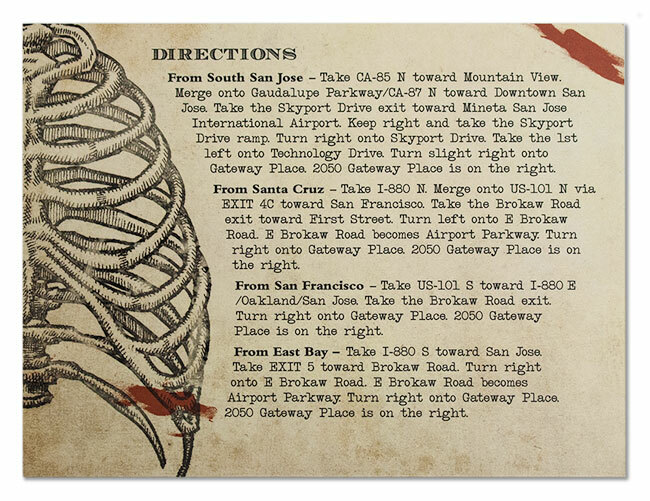 The theme for our last Halloween party invitation was inspired by old medical illustrations of skeletons. Our Creative Director, Steve Hendricks, went to work sketching FineLine’s comical version of these illustrations by hand. He added comical embellishments to each drawing — such as an evil grin with broken teeth, or a foot with a skull toe ring. Our Senior Graphic Designer, Lars Shaw, took the illustrations and “grunged” them up using samples of stained parchment paper and destroyed film. The finished layout was enjoyed by all!